Who are the top-earning authors in the world for 2015, and in the last five years overall? 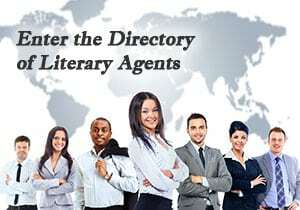 Is your favorite author on the list? You’re about to find out, because Forbes just released the numbers and I’ve posted them below… with some additional trivia and commentary to spice things up. How would your life change if YOU were to become one of the world’s top-earning authors? That’s what my websites are here to help you do, so if you’re not yet a member of my online community, click here to join now (its’ free). The sales figures for the top-earning authors below include monies from books, film rights, television, gaming deals and other income for the last twelve months. That’s why everyone who made the list (with the exception of one person) is a fiction author. It’s hard to make a movie, TV series, or game out of a nonfiction book. Yes, it’s been done (e.g. cookbooks spawning cooking shows, etc. ), but not that often. You’ll also note when you look at the list of the world’s top-earning authors below… that authors of books for younger readers are also doing well. And, one of the authors on this year’s list is just 26 years old. this post on social media! James Patterson made more money than any other author in the last twelve months (three times as much). But that’s not all. He’s done it every single year for the last five years, grossing $448 million. 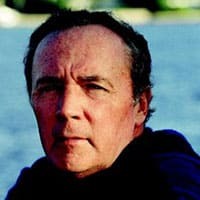 In 2011, it was estimated that one-in-four of all hardcover suspense/thriller novels sold was written by James Patterson? How does he do it? He cranks out approximately 16 books per year, with the help of some talented coauthors. What does Mr. Patterson do with all his money? He donates a lot of it to charity. More than $1 million to independent bookstores and more than $1.5 million to school libraries. I know, you’re expecting to see someone like Danielle Steel or Stephen King in the number two spot. Not this year. Who is John Green? Well, maybe you’ve seen the movie, “The Fault in Our Stars.” It’s a Young Adult story that’s lit up the big screen and shipped more than 3.5 million copies. This year, that’s good enough for second place. Roth is only 26 years old and she’s the youngest author on the list. She wrote her first book, “Divergent” , while on winter break in her senior year at Northwestern University. This Young Adult trilogy which approximately 4 million copies last year and grossed $295 million in theaters. Although Ms. Steel is only #4 on this year’s list, she’s made more money than anyone else on this list during the last five years… with the exception of James Patterson. One reason for that is how prolific she is. Ms. Steel has a big backlist. What’s a backlist? It’s pub-speak for previously published books that are still in print and available for sale. Of course Ms. Steel continues to publish new books regularly as well. Unless you have kids or grandkids (or write books for them), you probably won’t recognize this name. But Jeff Kinney’s “Diary of a Wimpy Kid” children’s series has been translated into 45 languages. Janet Evanovich released three new novels last year which helped her make the list. But she’s also consistent, ranking fourth in sales over the last five years. Ms. Evanovich is the #1 New York Times bestselling author of the “Stephanie Plum” series, the “Lizzy and Diesel” series, twelve romance novels, the “Alexandra Barnaby” novels and “How I Write: Secrets of a Bestselling Author,” and more. Okay, $19 million isn’t a Harry-Potter-at-the-box-office type of number. But J.K. Rowling has been keeping busy. She’s still writing, and publishing. You probably know that she’s been writing crime fiction using the pseudonym Robert Galbraith. But, you might not know that her newest book, “Career of Evil” is coming out later this year. In case you’re wondering, Harry Potter has sold more than 400 million copies. It’s the bestselling book series franchise in history. And the movies are the second highest-grossing film series in history (second behind the Marvel Comics empire). I was surprised to see that Nora Roberts wasn’t higher on this list, since she has more than 200 books in print. But, as is often the case with older authors, the new books don’t sell as well as the old ones. But $18 million is nothing to laugh at. Roberts is still a contender. Grisham needs to have another one of his books adapted to feature film, to climb higher up the list next year. But, like many of the other authors on this list, he’s a consistent top-earner (ranking 8th place during the last five years). Grisham publishes a new novel every year, and he’s done it since he published his very first book in the 80s. Grisham’s first bestseller was “The Firm” and it sold more than seven million copies. The book was later adapted into a feature film starring Tom Cruise. Did you know that, during the filming of Dan Brown’s “The Da Vinci Code” with Tom Hanks, that the Mona Lisa you saw at the Louvre Museum in Paris was a fake? The film crew wasn’t allowed to shine light on the real one, so they had to get creative. Dan Brown published his last book, “Inferno,” in 2013. But sales from “The Da Vinci Code” are still keeping him on top. Unless you’ve read her books, you might not immediately recognize the name Suzanne Collins. But you’re probably familiar with the Hunger Games phenomenon. This popular trilogy sold more than 20 million copies in 2012 alone. Then came the movies, starring Jennifer Lawrence. The rest is history. Before she made it big, Collins worked on the staffs of several Nickelodeon shows. Now she’s the seventh top-earning author in the world during the last five years. This author of the bestselling book and movie “Gone Girl” (starring Ben Affleck and Rosamund Pike) is a rising star. Flynn lives in Chicago with her husband, Brett, their son, and a giant black cat named Roy. She says that, in theory she is working on her next novel. But, in reality, she is possibly playing Ms. Pac-Man in her basement lair. Rick Riordan is just one of many top-earning authors in the world this year writing books for younger readers. He’s the author of the Percy Jackson and the Olympians series for middle grade readers. This is another one of those authors that you might not recognize at first, but George R. R. Martin’s “Game of Thrones” book and TV series has been a huge hit for readers… and HBO. Imagine having nearly 7 million viewers tune in each episode to watch something YOU wrote. It is possible you know. Keep reading to find out how. Mr. Baldacci published his first novel, “Absolute Power,” in 1996. A major motion picture adaptation followed, with Clint Eastwood as its director and star. Although Baldacci has published 30 novels and all of them have been national and international bestsellers, he’s only made the top-earning authors list once in the last five years. That was in 2014 when he made $11 million. Koontz is a rock star but his sales have slumped the last two years. Prior to that, he was averaging $19-20 million per year. This year, and last year, he’s not on the list. And he doesn’t, surprisingly, rank in the ten top-earning authors in the world for this year. I had to include Bill O’Reilly here because he’s the only nonfiction author who’s been on the top-earning authors list in the last five years. He grossed $28 million in 2013 as well, and $24 million in 2012. Not too shabby. You might shocked to discover that Sparks isn’t on the list of the world’s top-earning authors this year, but you shouldn’t be. Sparks hasn’t made the list since 2011 when he grossed $16 million. Don’t feel bad for Sparky though. Every single one of his books has been a New York Times bestseller. Sparks has sold more than 97 million copies sold worldwide, in more than 50 languages, including over 65 million copies in the United States alone. Meyer is the Young Adult author, writer, and film producer, best known for her vampire romance series “Twilight,” which debuted at #1 at the box office with $70 million, making it the highest grossing opening weekend for a female director. Meyer hasn’t made the list since 2012, but she still deserves a nod. Getting published isn’t luck, it’s a decision. Becoming a bestselling author isn’t luck, either (0kay, maybe a little bit). But there’s a lot you can do to increase your odds. Take the next step right now and click here to become a member of our online community (it’s free). If you’ve already done that, post a question for me below about the best way to write, publish, or promote your book. And, lastly, if you haven’t already done so, click here now to find out how to become a bestselling author.